My sons were young teens at the time my dad underwent brain surgery that backfired, leaving him with dementia – overnight. Dad remained loving, but he did get frustrated and was perpetually confused. To see this caring, intelligent man so markedly and irreparably changed nearly tore out the hearts of adult family members. For the grandchildren, the effect was multiplied by their lack of experience in life’s tragedies. Our family’s introduction to dementia was different than the typical case. Most people with dementia will decline slowly, giving loved ones time to adjust. However, no time frame makes accepting dementia easy. 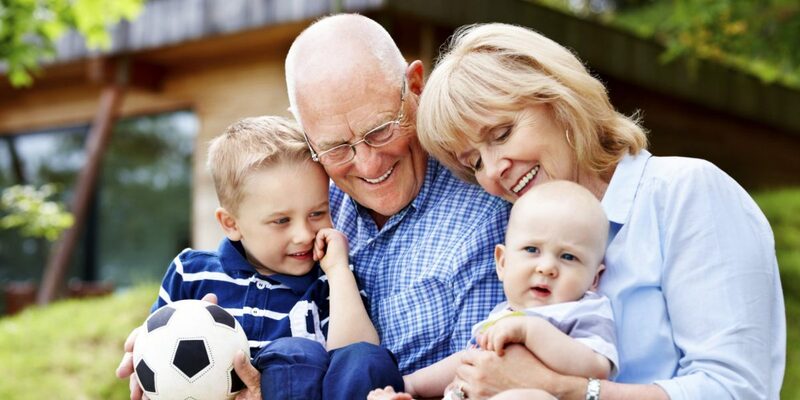 Whether the grandparents live with the family, in their own home or in a nursing home, the grandchildren are bound to be affected by the changes they see. Children often feel guilty for bad things happening in the family, even when there is no logic to their thinking. They will notice your pain and may also feel guilty for that, as well. Children can be frightened by the changes in the grandparent who was once gentle and loving, but could now have become cranky and occasionally downright mean and abusive. How we, as parents, handle the changes in our own parents can affect how well our children handle the changes. But each child is different and each set of circumstances is different. So where to you start when it’s time to explain? Most children understand that when searching for a radio station within range, we experience static when a signal can’t be picked up clearly. Correlating the image of this static with the confusion in a grandparent’s mind may help a child understand why the grandparent acts confused and frustrated. Brain signals get muddled. If Alzheimer’s or other dementia has turned Grandpa into an irritable or abusive person, make sure the child understands that he or she didn’t cause this behavior. Nor is it Grandpa’s choice to act mean. Grandpa’s behavior is caused by his disease. Find age appropriate books to help the child feel less alone. A quick search in your local book store or online should bring up a number of excellent children’s books on Alzheimer’s. If there is no support group in your community for children with grandparents who have dementia, talk to their school counselor or give your local Alzheimer’s organization a call to see if a group can be started. In this way children are no different than adults. They need to know they aren’t alone in coping with this disturbing turn of events. Your child will likely feel embarrassed by the grandparent’s behavior, especially if their friends are around. Face it. You may have some embarrassment issues yourself. This is an opportunity to help your child know that you are all still learning how to cope.